Squinting your eyes and watching Netflix series and YouTube videos on your smartphone might get tiring. Even though the tiny computers have a long battery life and HD quality graphics, they are no comparison to the larger LED televisions that come with better sound quality and perfect when you have friends over for a games or movies night. Connect phone to TV, so that you are able to view your Android mobile phone on a bigger screen. Switching between apps is easy, which you can do either by using your phone or your television’s remote. Whether you are traveling to a foreign country for work or for your friend’s wedding you can mirror Android screen to TV anywhere you go and enjoy the same quality. HDMI stands for High Definition Multimedia Interface and does absolutely what it promises, which is high quality video and audio. Rather than having to carry a USB cord and an HDMI cord and misplacing both of them, you can buy an HDMI cable connector, which is compact and easy to carry around. Having a decade old TV at home doesn’t mean you can’t watch phone on TV because it will have an HDMI port. Switch to the HDMI mode on the television and connect the HDMI cable to mirror Android screen to TV. Once the connection is successful, you can stream any movie, television series, or YouTube videos that you want to watch on the TV. You can also open WhatsApp and Instagram to like photos that your friends have sent. There are three types of HDMI plugs – Type A, Type C, and Type D. You will need the Type A plug to connect phone to smart TV. Type C or Mini HDMI is used to connect smart phones with tablets and other phones and Type D is used to connect to DSLR cameras and camcorders. A less popular but more versatile way to stream to TV from phone is by using Mobile High Definition Link or MHL. To make the streaming possible, you will need a smartphone that is MHL enabled, USB to HDMI MHL adapter or cable, HDMI cable, power cable, and a television. First, connect the adapter to a power source. 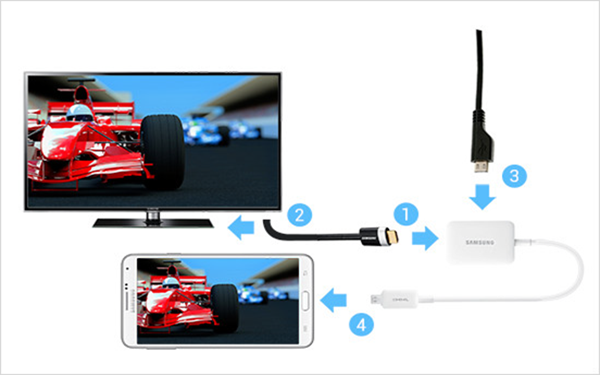 Then, insert your phone’s USB cord into the MHL adapter and attach it to the TV using a MHL cable. You are all set to stream that episode you’ve been waiting for a week to release. Some television companies that offer MHL support include Sony, Toshiba, LG, and Samsung. This method is more versatile compared to the first one because it allows you to attach your phone to a wireless controller or keyboard to control the television. While the MHL method draws power from the mobile phone and HDMI might not work in some mobile phones, you can trust Slimport to hook phone to TV. 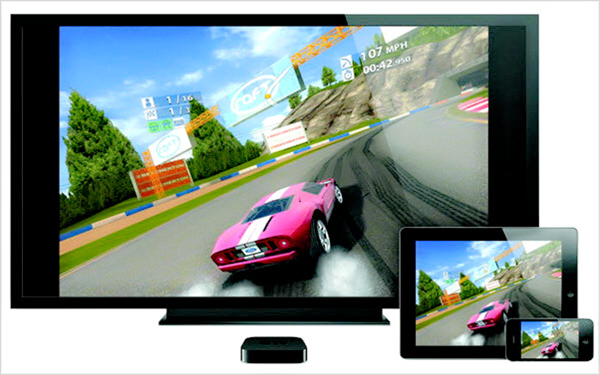 It is also a more efficient way to stream your mobile phone on older versions of televisions. HDMI and MHL are limited to HDMI video output on the television but Slimport is also compatible with VGA, DVI, and DisplayPort outputs along with HDMI video output. Also, it doesn’t need any external power source like MHL but is a costlier method than the two ones. You will need a Slimport adapter, a compatible phone, video cable, and a display input (VGA, DVI, HDMI, or DisplayPort). First, you will have to connect your phone to the adapter using a USB cord. Use the video cord to connect the adapter to the display input and play the movie on your television. Sponsored Ads: Accidentally deleted files from your Android phone while having no backup? Try this free Android data recovery software to quickly get them back! Google Chromecast is a dongle-like device that you have to insert in the spare HDMI input. 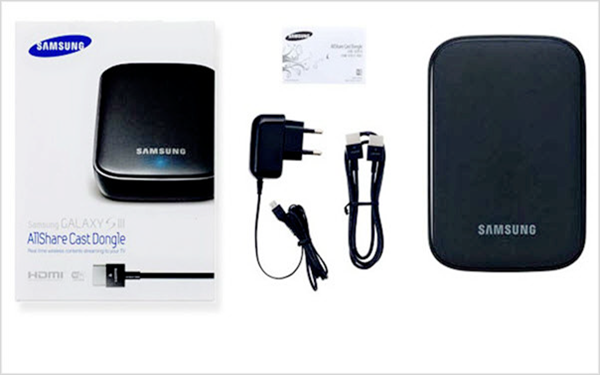 It connects to the WiFi available at your home or in the hotel room to pair your mobile phone with the television. You can play any streaming service from Netflix to iPlayer using the device. It has quite a long battery life. Google Chromecast only supports Android phones with v4.4.2 or higher operating systems. Connect the dongle to the TV. Pair your smartphone with the dongle . The smartphone is to be used as a remote control. And that is how you mirror phone to TV. 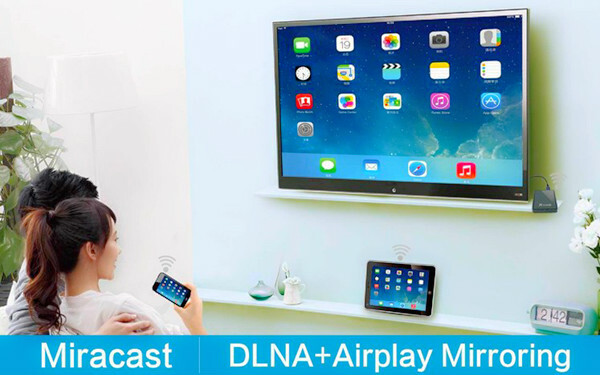 A standard method to connect phone to TV, Miracast develops an ad-hoc network that connects your mobile phone with a Miracast-compatible set-top box. Most smart TVs today are compatible with Miracast themselves, so you don’t need a set-top box for connecting to your phone. It is only compatible with Android 4.2 or higher. Miracast works like a Chromecast. Connect Miracast to the TV or the set-top box. Pair your mobile phone with the dongle. The mobile connect to TV is strong and has efficient compression with superior quality HD streaming. If you are wondering how to connect phone to TV using the Samsung AllShare Cast Hub, you’ve come to the right place. You will need a Samsung smartphone and smart TV for this method. Setting up the device barely takes any time and ensures uninterrupted streaming. To connect your phone to TV adapter you will need WiFi or internet. Go to Settings on your Samsung phone and enable Nearby Devices. Connect the AllShare Cast Hub with your television. Use your TV remote to switch to Smart mode. Select AllShare, which will appear on the screen that will make your Android device visible. Your mobile phone is now synced and you can watch videos, pictures, and use social media apps on the television screen. Find out the best how to connect mobile to TV way for you. If you travel regularly, then HDMI, MHL, and Slimport will be your best options, while the other three methods are great if you want to stream at home. All of these can also be used to connect your mobile to your PC. Before making a purchase of any of the devices involved, check for its compatibility with the phone and television you have.